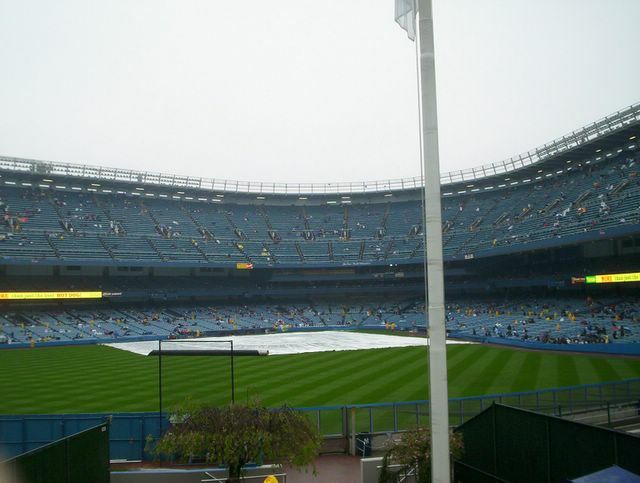 Michael Suddard: Yankee Stadium on a rainy afternoon. Yankee Stadium on a rainy afternoon. 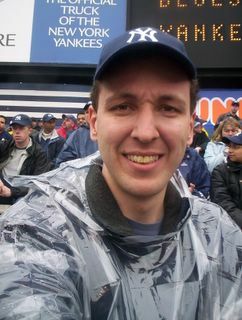 At Yankee Stadium this drizzly/rainy afternoon in the Bronx I went to watch the Toronto Blue Jays take on the New York Yankees. 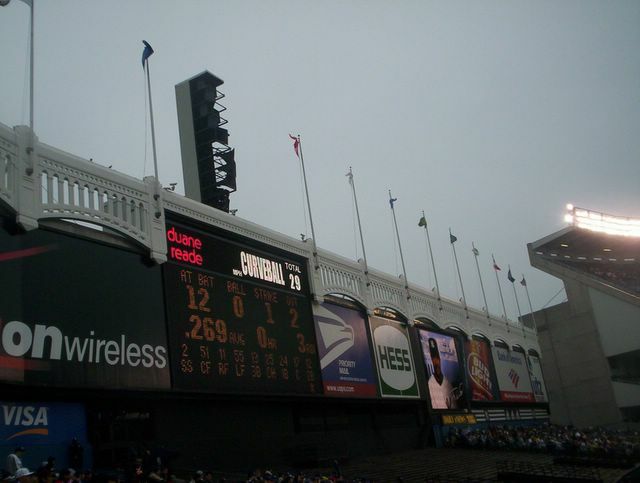 The Yankees won 4-3 with the final run coming in the bottom of the 9th inning. Also got to see Mariano Rivera pitch a stellar top of the ninth inning. Note the rain poncho I have on. I was smart to pick up an extra one from the August 2004 Central Park Film Festival last year. 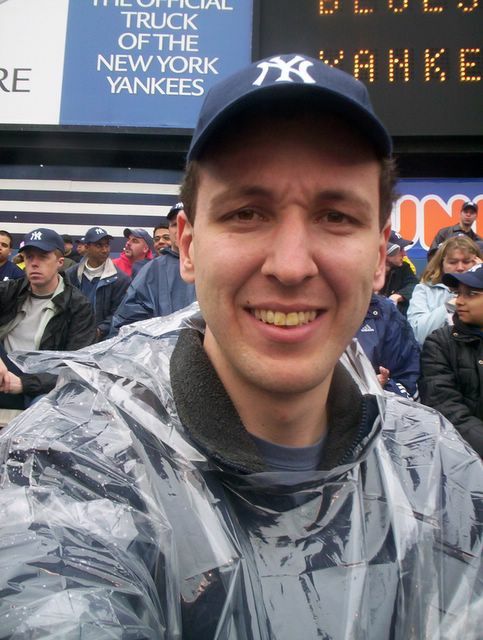 It came in handy at washed out Yankee Stadium on this day. 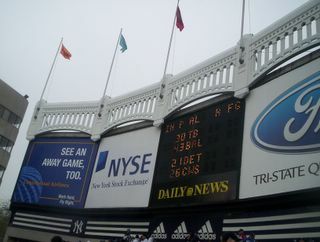 Also this day at "the Stadium" was "cap day" where every fan got a free New York Yankee baseball cap. The field covered over at game start time. 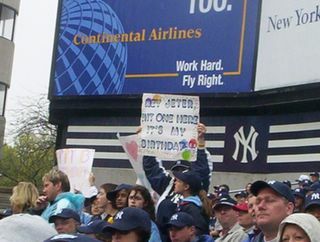 Just this side of the tree in center field is the Yankee all time great Museum. 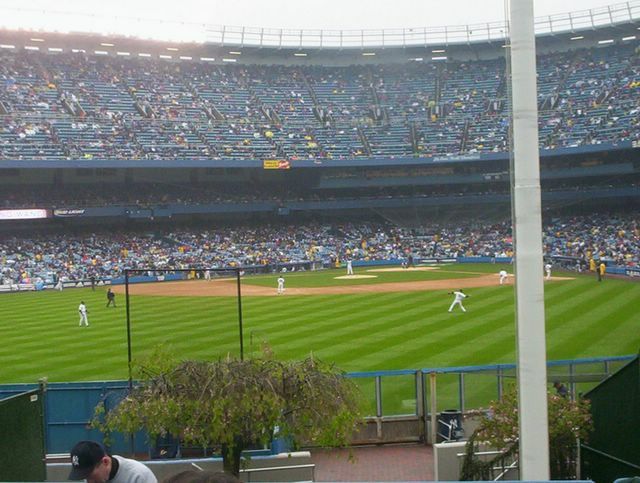 To the left of the tree is the Yankee bullpen to the right of the tree today was the Blue Jay bullpen. 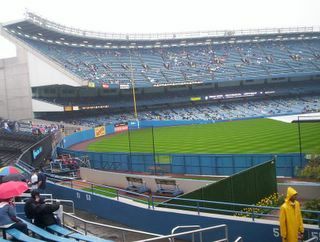 Left field side of Yankee Stadium looking from the outfield bleachers. 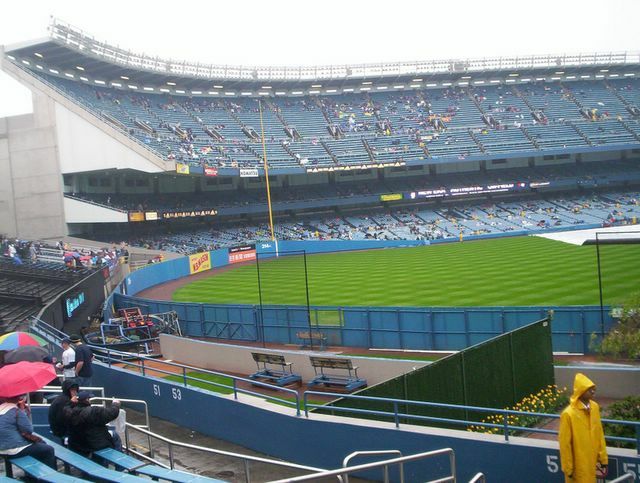 the right field side of Yankee Stadium. The Yankee Bullpen is in the foreground. Right field back wall of Yankee Stadium. 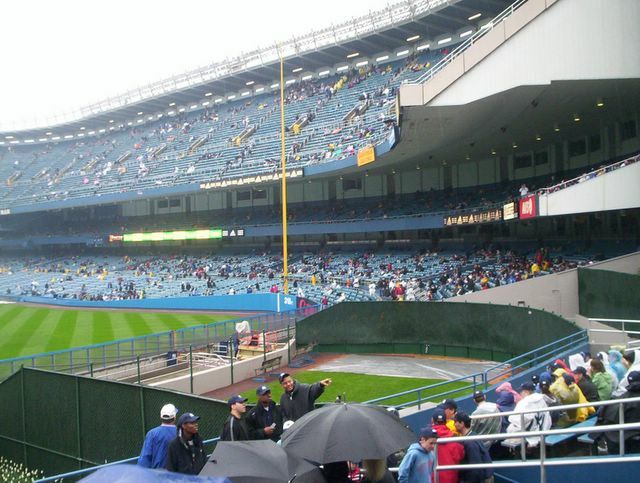 left field back wall of Yankee Stadium. a look at the center field flag poll at Yankee Stadium. The bat on the top is like a wind direction locator. 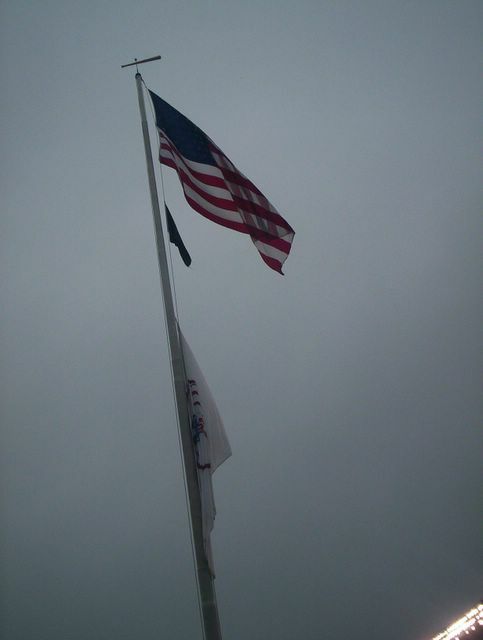 It shows which way the wind is blowing. Wouldn't you figure the flags would do that though? Weird, yet cool. Best sign in the outfield bleachers. Also note the pretty blues of all the Yankee ball caps. Great idea cap day. 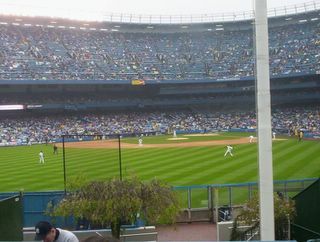 The Yankees warming up on the field of Yankee Stadium. Overall it was a good day except for the rain. Maybe next time the weatherman can cooperate.